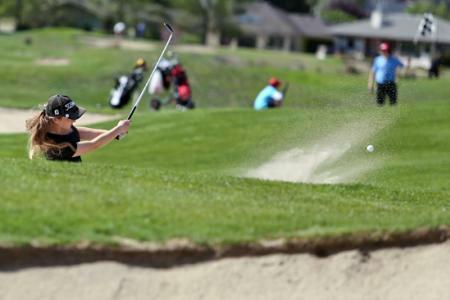 Golf will be offered this year at the third annual Legacy Performance Games, a multi-sport event that will be run by the Kamloops Sports Council from July 22 to July 24. There will be a two-person better-ball tournament held on July 23 and July 24 at Rivershore Golf Links and Sun Rivers Golf Course. The $160 price tag includes two rounds, a banquet lunch on July 24, a power cart at Sun Rivers, an athlete gift and medals for a podium finish.Golfers ages 16 and up are invited, although each team must have one player who is at least 19 and both members must have Golf Canada handicaps. Wheelchair rugby, wheelchair tennis, beach volleyball and cycling round out the events that will be held at this year’s Games. The Games were created from funds generated by hosting the Western Canada Summer Games in 2011.